The dates are in! This year the peak week for the Washington, DC Cherry Blossoms will be March 31st through April 3rd March 18th – 23rd. It is predicted that 70% of the blossoms will be open during this week. This also means the National Mall will be 70% busier than usual. 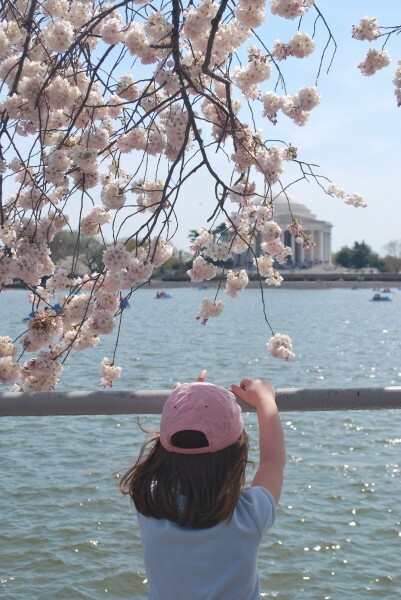 If you plan to make a trip to the Tidal Basin to view the beautiful blossoms we recommend going early in the morning before the bulk of the tourists arrive. Visit the National Park Service website for more information about DC’s famous cherry trees and visit the National Cherry Blossom Festival website for a list of the activities taking place during this year’s festival – which will run from March 20th through April 17th.